THE MUPPRT SHOW, Episode 310, spring 1978. “You’re Always Welcome at Our House” and we know you will stay. Yeah, inviting muppets into your house to kill them is not fun for children who are 4 years old. Especially when it comes a few weeks after the terrifying Alice Cooper episode. UNK SEZ: Thanks for another delicious traumafession Jamie! I did a little research and learned this creepy ditty was penned by the great SHEL SILVERSTEIN. You can hear the original version HERE. 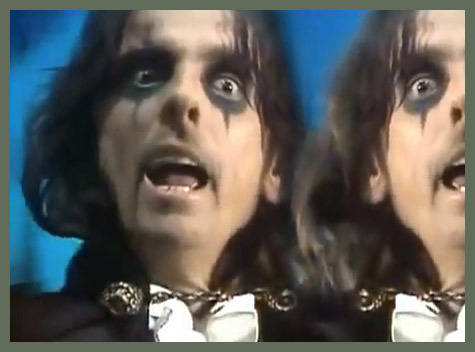 Now, I hope you realize that since you mentioned the ALICE COOPER episode we’re going to have to watch that too (see below)! Holy cow! That is more terrifying than some horror movies! I either missed that one as a kid or blocked it out. I have all the seasons on DVD, so I will look for this episode. Man, that’s sick. What producer thought that was appropriate for a kid’s show? 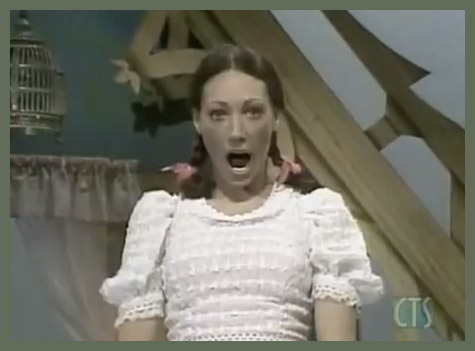 I don’t know what’s scarier – the song or her lousy lipsyncing or her bad teeth at the end. BTW – I never felt this show was a kid’s show. Too many adult themes. 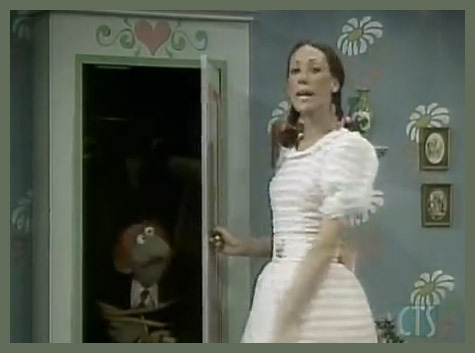 mickster, that was Marisa Berenson, and it’s from the Season 3 set of The Muppet Show. Thank you, wayoutjunk! I will watch that episode ASAP!